Graffiti Remover is a low odour, spray applied liquid designed to safely remove paint, felt tip and biro marks left by vandals. Suitable for use on most common surfaces including brick, stone, metals, concrete and most plastics. 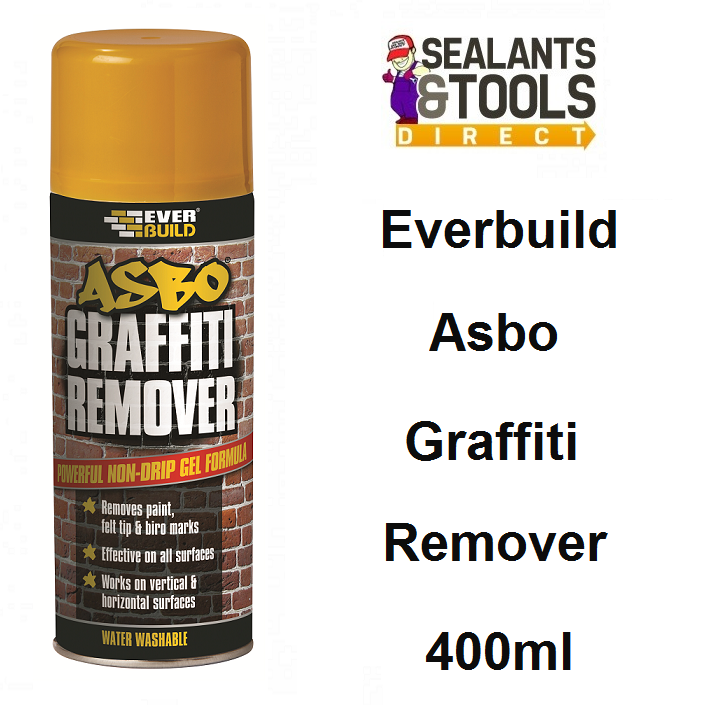 Everbuild Graffiti Remover may be use on both horizontal & vertical surfaces. After a few minutes, marks are easily and safely removed by rinsing with water. Always test painted or coated surfaces plastics for compatibility prior to full application. Shake the can and spray directly and liberally onto affected area. Allow time to penetrate two minutes to 1 hour depending on type of stain then wipe away graffiti and rinse area with water. For stubborn stains, dry area and repeat process.